Inkans, AKA Hankos are personal or business stamps (AKA seals) used in Japan in place of signatures. 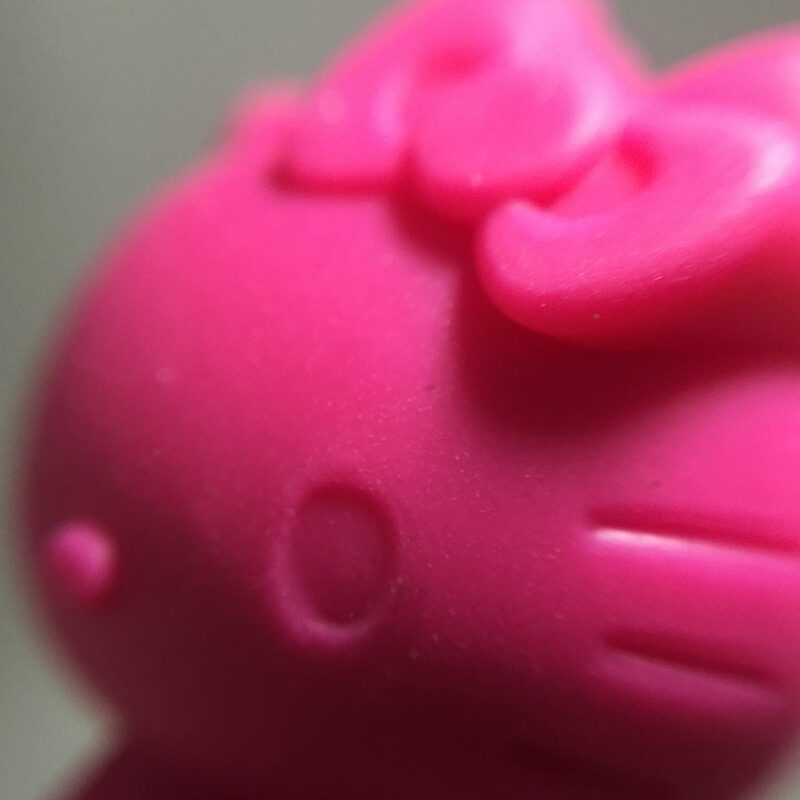 Trivia: Inkan and Hanko are often used interchangeably, however is a difference between the two terms. 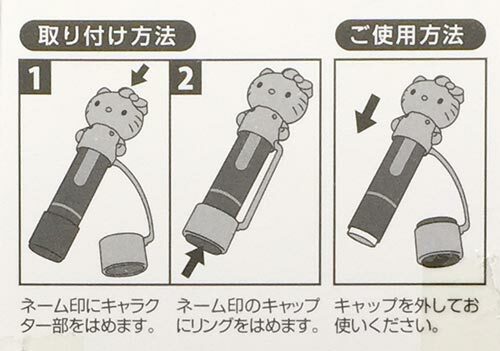 A Hanko refers to the physical stamp/seal, whereas an Inkan is the stamp that is left on the paper. 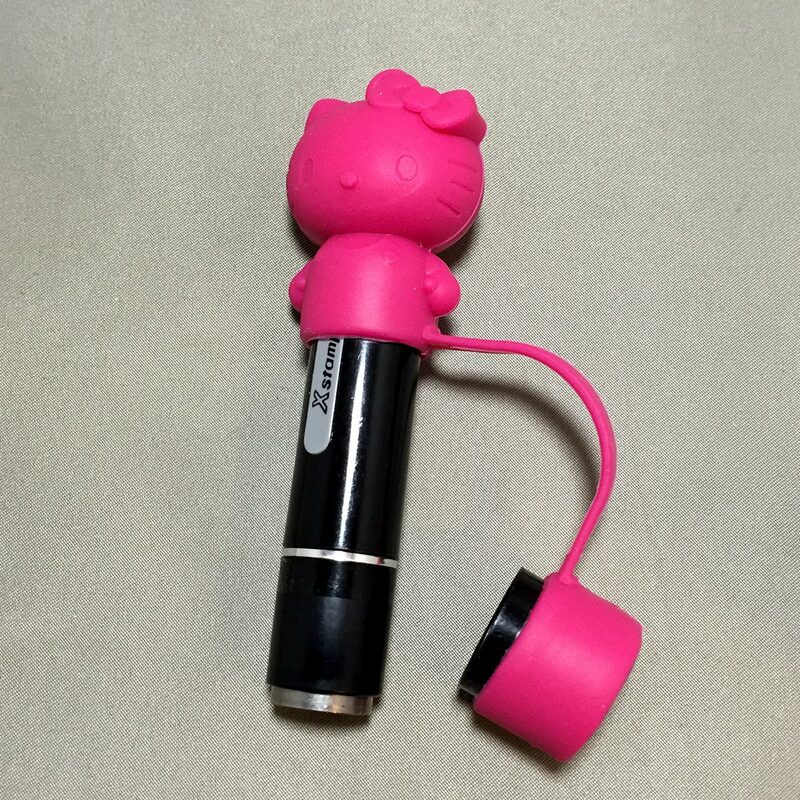 The Hello Kitty Stamp Cap fits a Shachihata Name 9 stamp (a common brand of self inking hanko with a 9.5 mm diameter stamp face. 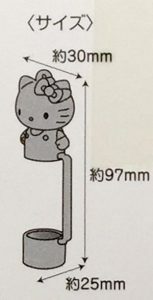 Images of a Shachihata Name 9 stamp is included in the gallery) and also attaches to the cap so it won’t get lost any more. And there’s more. 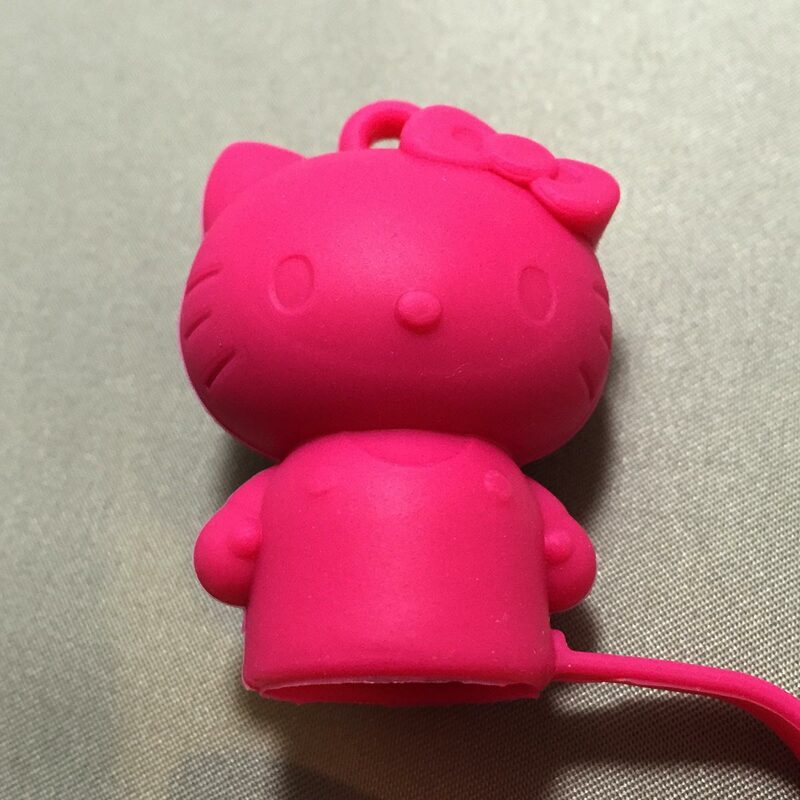 To prevent the stamp from being misplaced, there is a small loop above Hello Kitty’s head to feed a chain or neckstrap through. 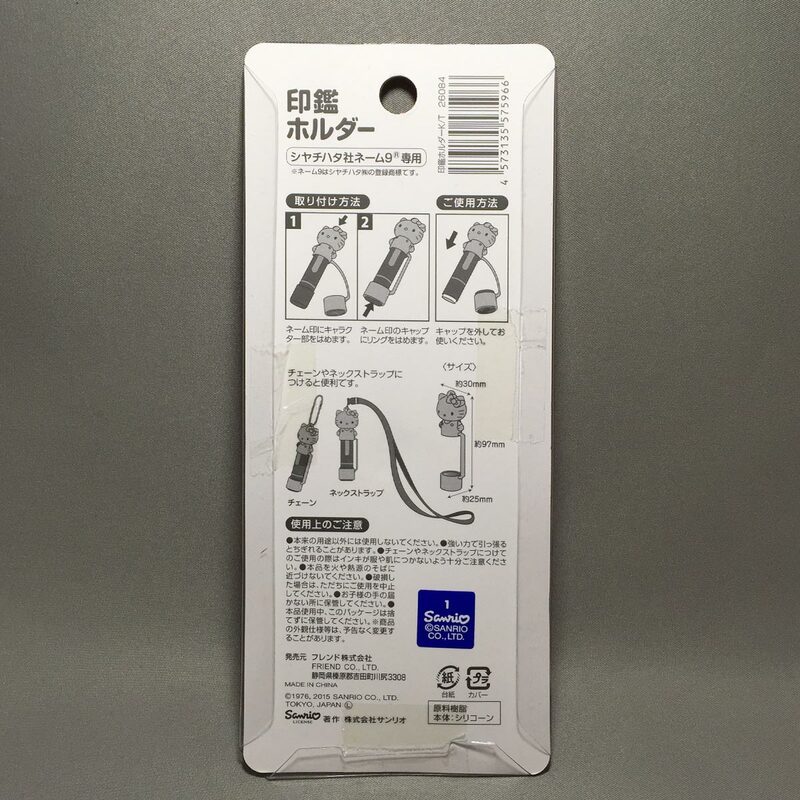 Double protection for 100 yen! 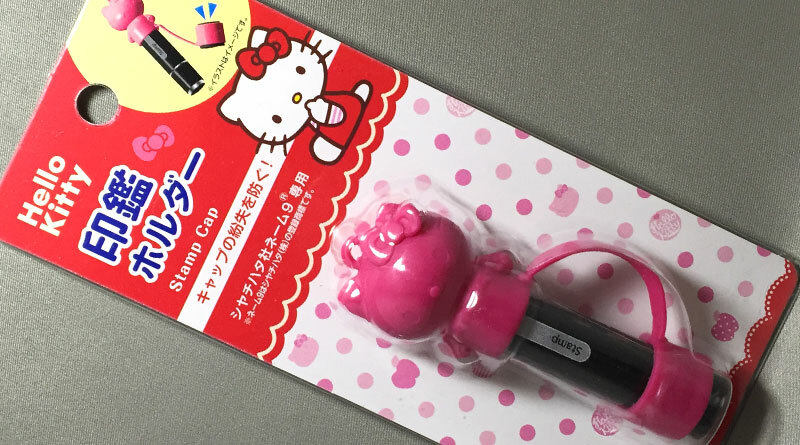 The Hello Kitty Stamp Cap is a licensed product from Sanrio (Sanrio seal on the back packaging). 1. 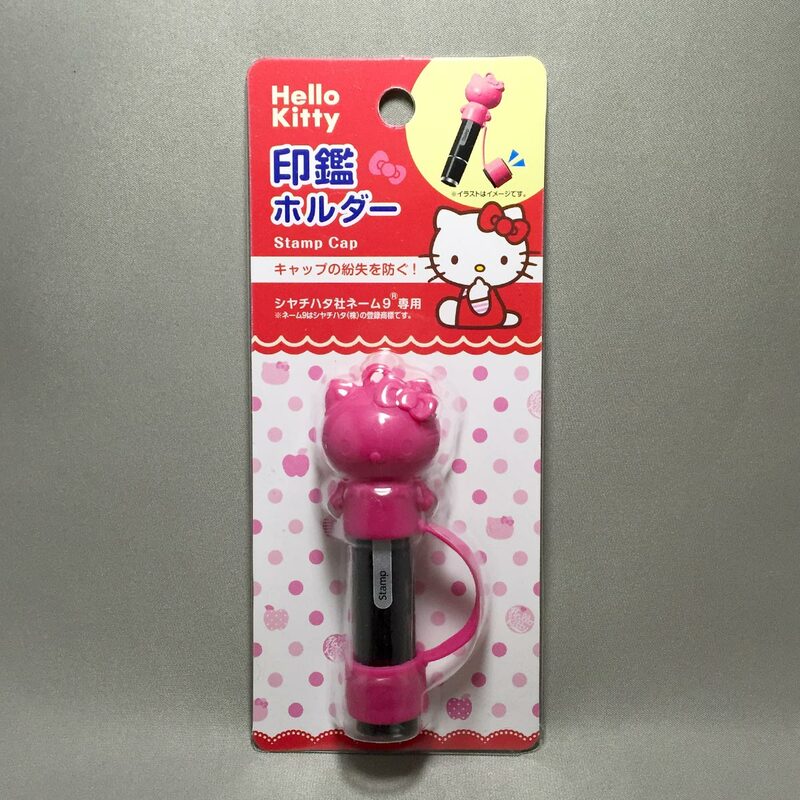 Attach the Hello Kitty end to the top end of the Shachihata Name 9 stamp. 2. Attach the stamp cap ring around the Shachihata Name 9 stamp cap. 3. 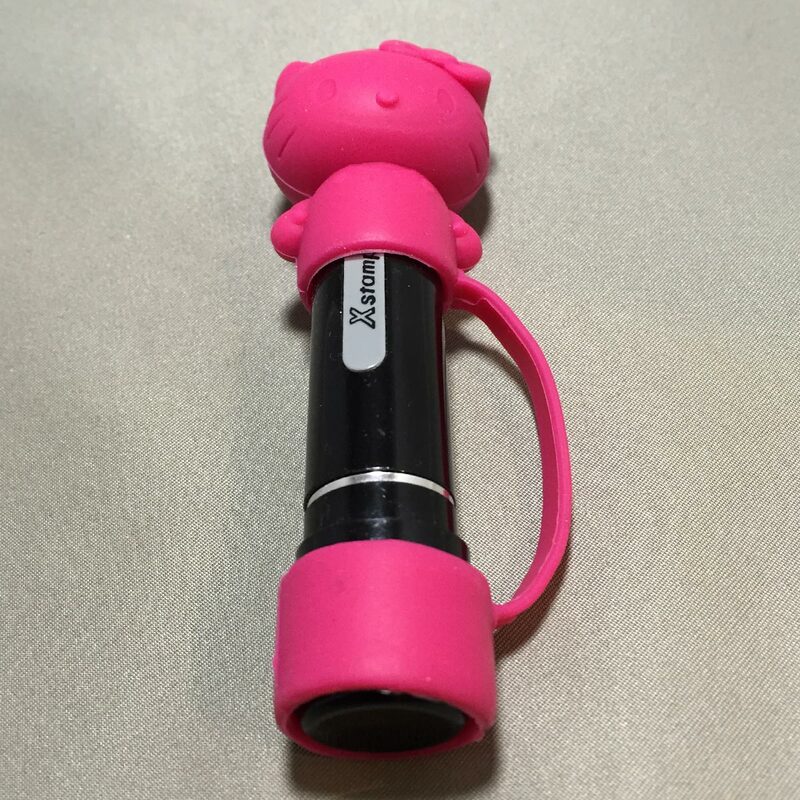 To use the stamp, just remove the cap. – Pulling with force may cause the stamp cap to break. 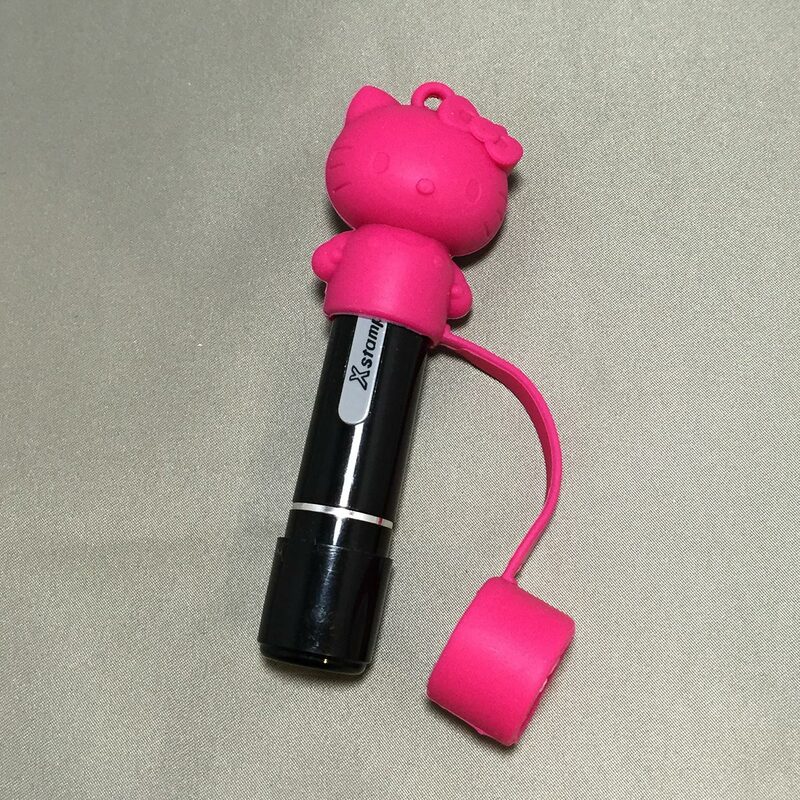 – Use care when the stamp cap is attached to a chain or neckstrap as ink from the stamp may stain clothing or skin. 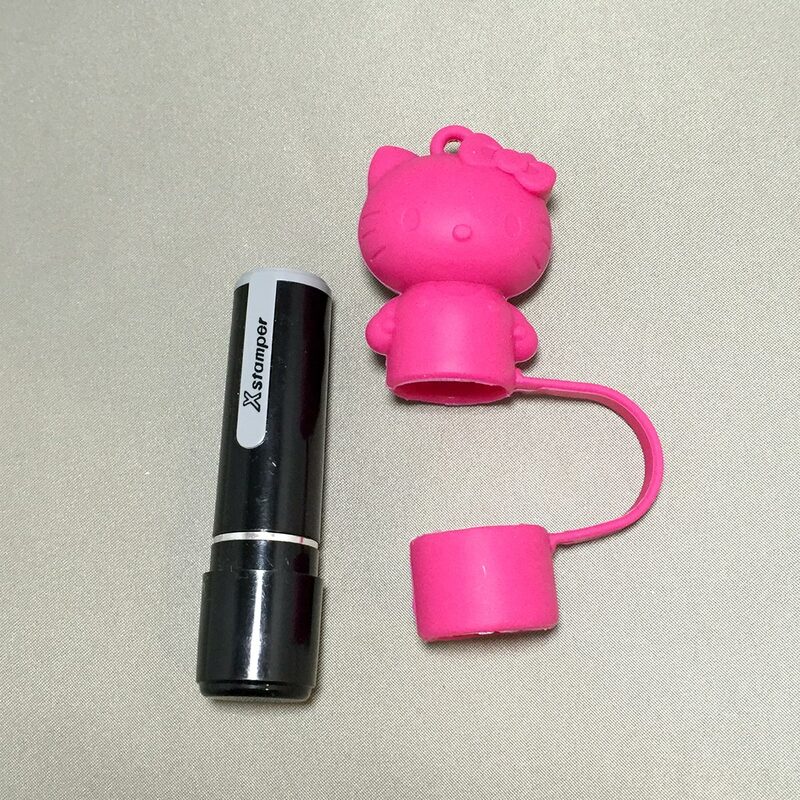 – Do not use if the stamp cap is damaged. 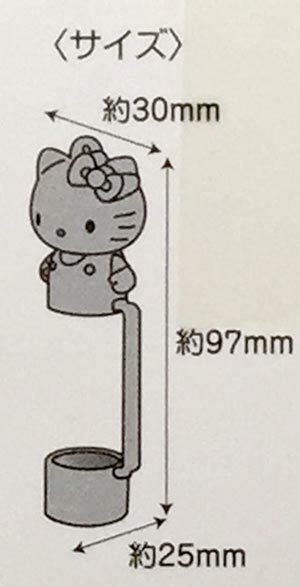 ※ Please note that product specifications are subject to change without notice. 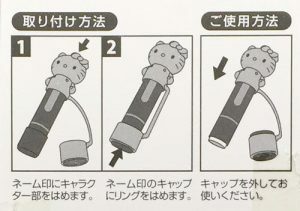 Instructions printed in Japanese only. It’s very pink, and my eyes hurt from looking at it too long. 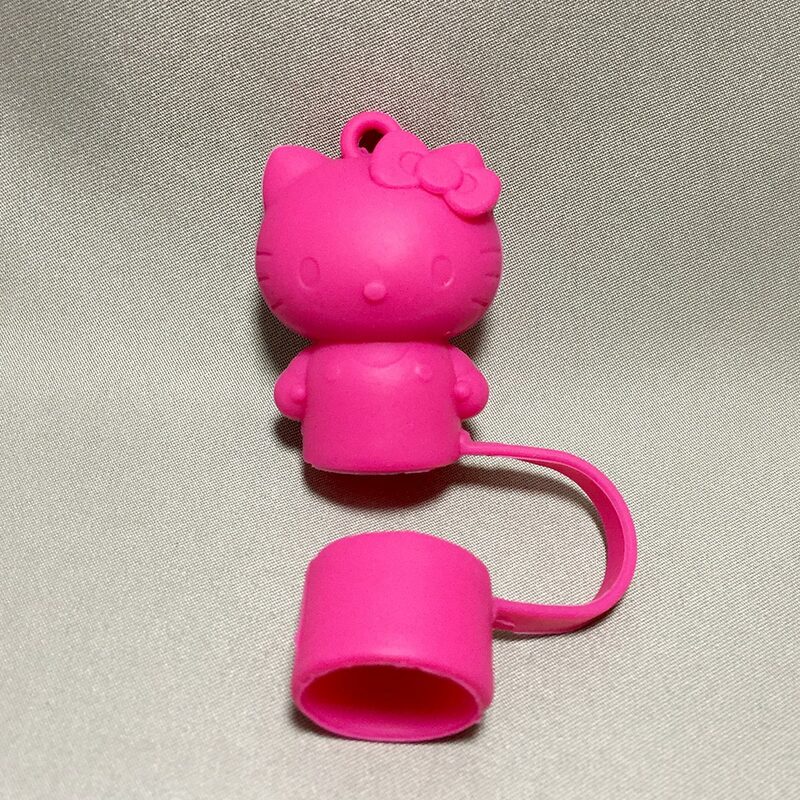 This stamp cap could make a good souvenir or gift for Hello Kitty fans or kids. Why not go ahead and include a stamp as well.